***Thrilled to receive this email in regard to a writing contest I entered upon the suggestion of my dear friend Michael Bowler. It is so gratifying to find success in what I love so much to do. Congratulations to those selected. We’re narrowing down this semifinalist list and choosing one winner and 3-5 finalists by March 1st. The 2015 season opens in March as well and will run until December of this year. We mentioned before, but it’s worth repeating: we received 576 entries across most every genre imaginable, and were surprised (inspired, really) by the quality of submissions. It wouldn’t be a stretch to say every entry had a valid shot at advancing. A large handful showcased competent writing and engaging characters or plots, but the determining factor between Great Book X and Great Book Y was “which has more potential as a film or TV series?” Unfortunately, many didn’t make the cut. Not due to subpar writing ability, and not due to an unmarketable or unappealing story, but due to the fact other books, in our eyes, had a better shot at garnering interest in the current media landscape. Thankfully, trends change. And honestly, there’s no real science to it. What doesn’t work for a series or movie today certainly might in the future, and you can point to numerous examples over the past several decades. It’s all a process, and one that takes time. But like in any creative industry, originality and talent win–always–in the end. All the more reason to continue telling exceptional stories true to your own voice, your own style, and your own objective. To everyone who entered, many thanks for allowing us to review your manuscript. We look forward to reading more of your work in the future and considering it for film and TV adaptation. This book convinced me, the queen of holding grudges against fictional characters, that forgiveness is always possible. Plus there’s a flash mob – who doesn’t love a flash mob? Other achievements of the red sheet are included on the image above. When a book finds success, it makes an author wonder if he/she will ever find the same or more success with another book in the future. My goal is to try. SQUEEEEE!!!! This is great! Big hugs, Mia, and congrats. Thanks Deedles and Shirley!! I’m pretty excited!! Congratulations, Mia! A semi-finalist! 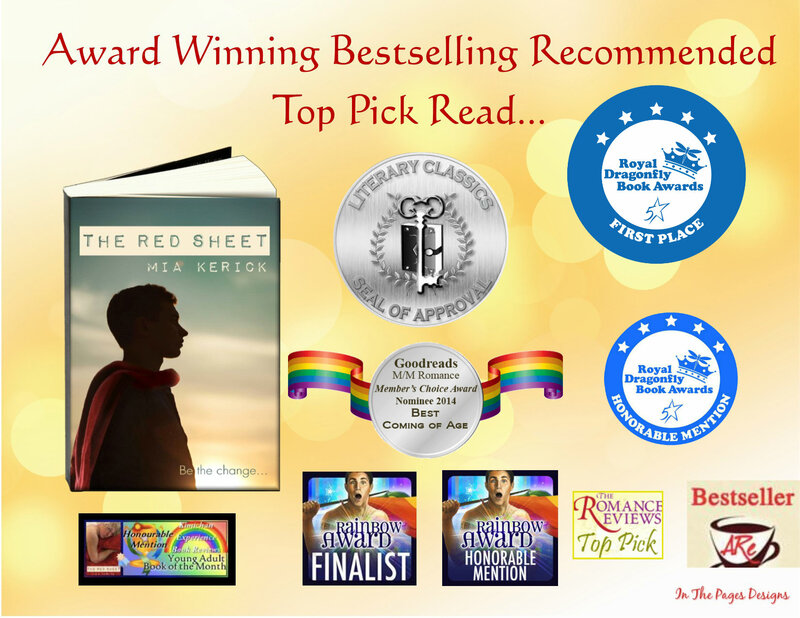 I’m am so thrilled that The Red Sheet is getting the recognition it deserves! HUGE congratulations. Thrilled for you. Keeping my fingers and toes crossed for you. Kari- i am happy that it is getting recognized this way- I wonder what will happen next? I guess time will tell!! Denise- I’m sure if the news is good I will announce it on Facebook- so I’ll cross my fingers and toes too!! Jay- I am more than ready for my picture!!! But I won’t hold my breath! !